Sometimes when people move, they leave behind pets. Josie joined our family when someone left her behind after a move. 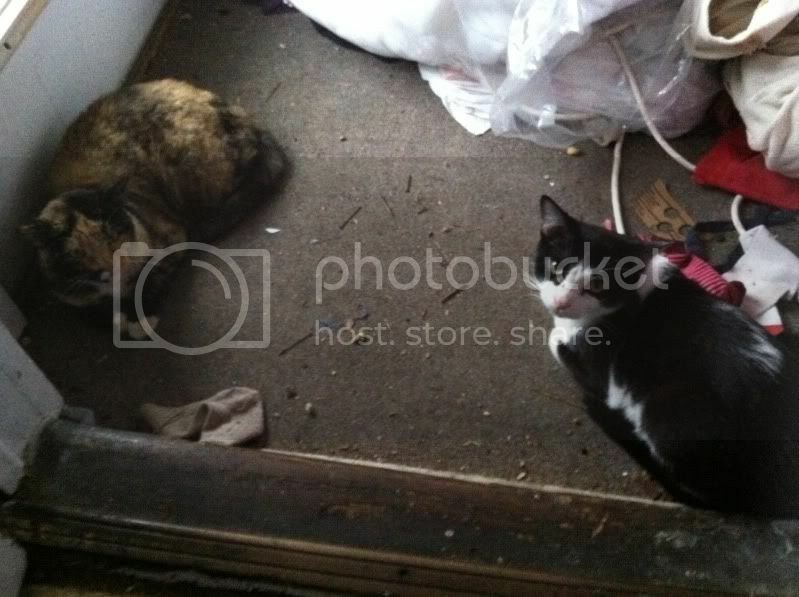 The kids had left the shed open and it was like a homeless shelter for kitties. And when Josie got pregnant and the kids left the back door open, she moved her babies inside the house without us knowing and then refused to leave. Cats are devious like that. A little more than a week ago, we were clearing out the rental house and her a very loud meow. As soon as we opened the door, this black and white cat darted in and went straight to where the cat food used to be. I know this because there was cat food all over the floor in that spot. I texted the renters. Why yes, their cat had escaped before they moved and they couldn't find him. I couldn't leave the cat behind. The last thing anyone needs is an unneutered male cat in the neighborhood. 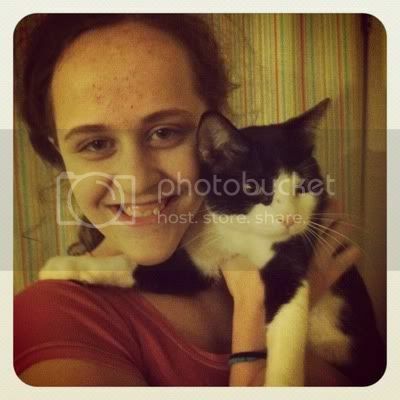 So we brought the cat home with every intention of taking it to the humane society Monday morning. Then, the kids started in. "Mommy, please can we keep him?" And when I went to the store to buy Josie a new food dish, D stuck an extra one in the cart. The nail in the coffin was when Leelee named him. Monday morning, instead of calling the humane society, I called to make an appointment to have him neutered. I feel like Bob Barker. 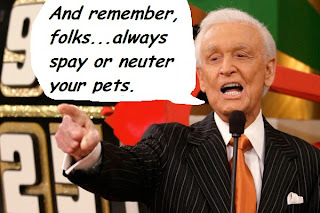 Please have your pets spayed or neutered. Josie is not happy Steve is here. Not happy at all. She's a very dominant female and Steve is a young up and comer. He doesn't understand he's supposed to cater to her every whim. In fact, he keeps starting stuff with her. Josie hasn't had anyone actually challenge her authority before. We thought we had peace talks going on the other day. Given recent events, I think the talks failed. Josie is pissed. Especially at Leelee. She hisses at Leelee all the time since Steve chose her as his human slave. Hopefully things will settle into a nice routine with Josie and Steve learning to at least tolerate each others' presence. What a cute little tuxedo cat! You are very kind to take in a kitty that someone else clearly did not deserve! I hope they learn to get along! And Steve is an awesome name for a cat, I love it.